I've been working on this dancing duo all month! They've been in constant competition with each other- one had better cheekbones! The other had more twinkle in her eye! Then one had a better haircut, then the other had a fuller smile! It was like a dance battle, but with paint. 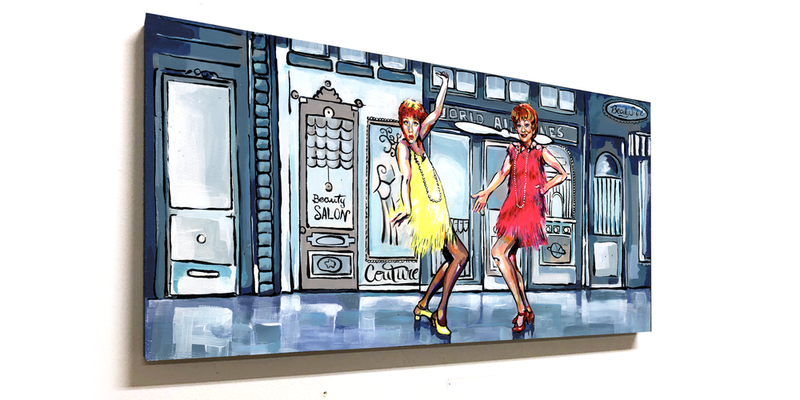 Before I knew it, the spirit of Lucille Ball and Carol Burnett were jazz-handing right there on my canvas. Time to get this show on the road ladies, you're on your way to LA! Thank you @katycallsaton for this fun challenge!